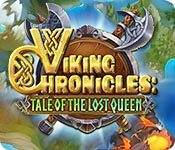 Viking Chronicles: Tale of the Lost Queen is rated 3.1 out of 5 by 29. Rated 5 out of 5 by BuckeyeNFlorida from There is an Untimed Option! I felt compelled to write a review after playing and completing this game. Some reviewers gave this game a lower star rating claiming it was because there was no timed option. However, if you don't care about earning stars, the clock keeps going until you finish. Personally, I liked this game. It became more challenging as the game went on and you had to use your brain to plan your strategy. I don't pay much attention to story lines so I'm indifferent to that aspect. If you enjoy a good TM game, give it a shot beyond the 10th level. Enjoy! Rated 5 out of 5 by chs8 from Good game. A good game for an evening getaway. But you need to work hard to win. It was fun to put out fires and swim in a boat. Pleasant graphics and music. I recommend. Rated 5 out of 5 by Cyril48 from Loved it For me, I loved this game,Ok it does not suit everyone but that is what makes our world such a wonderful place as we all have different tastes and expect different things. It would be a boring old world if we all liked the same and thought the same. I prefer to play relaxed then once through that I will step it up a level. Although there is only one level time does not run out you just get one star which suits me to start but then I will be able to return and try to improve. I like the fact that there is no annoying voice saying "Alright,Alright " etc they just get on with the task and the further into the game the more challenging it gets. I can see though if you like to achieve 3 stars then this is a very hard game indeed but for me it is ideal and a bit different . As I say not ideal for everyone but for me ,perfect. Rated 5 out of 5 by swankme from A Simple Fun Little Game!! These are some fast little vikings. 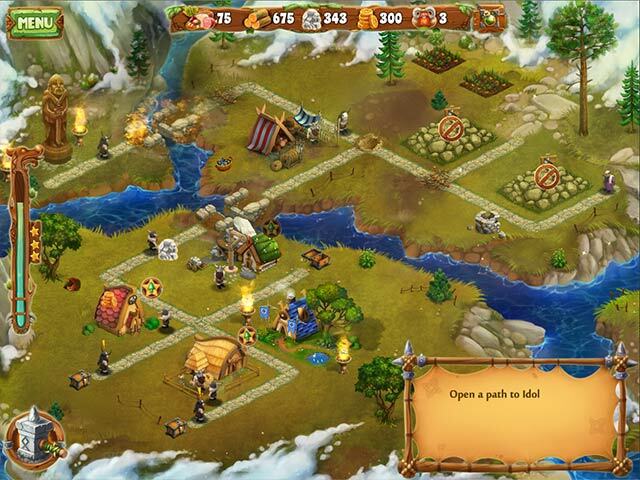 They take down trees destroy rocks, fish and burn down their enemy's huts. The game moves along petty quick but is really fun. Rated 5 out of 5 by Hespera from A New Age of Vikings Gone are the boring sing-song vikings you used to know. These guys truly rock. This may be a first-time game for this developer and I think it is an amazing job. And once you get used to the game play, which you have to do with any new game, it's quite easy to fall into the rhythm of things. It requires quite bit of strategy and thinking outside the box, which I think is wonderful and refreshing. And you don't have to always click to collect rent, when it accumulates, you can just swipe it to collect it. I am overjoyed to see anything new in Time/Resource Management and or Strategy Games and I'm really enjoying it very much. Bravo, developers! I do wish it had achievements; however, it does have high scores and it's not a CE. So, there's lots of fun at half the price! The graphics are very good and everything works quite well. I'm currently on Level 25, with all gold. I've not had to replay anything yet, but I do study a bit before I start playing. Rated 5 out of 5 by Ndwelt from Wait a minute... I wasn't going to rate this because I have made a decision (heck if I know why) to only put forth my opinion if I feel a game deserves a 5star or no star (1). I thought way too easy and really don't like having to go the house once to initiate payment and then have to collect later.. I bought it anyway because I am a TM fanatic and today was I/2 off day.TY BF :) When I got to level 10, things started getting strategic. YAY! Now I absolutely love it. I have made gold up to level 20 and am still going but I do have to replay many times to strategize the flow. Try it! Bet you'll like it!! 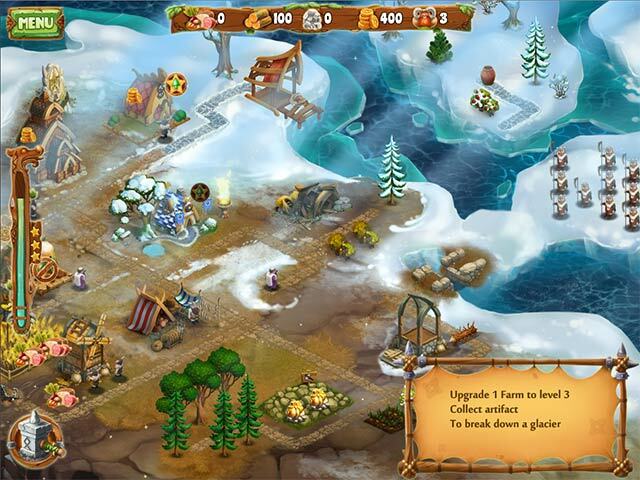 Rated 4 out of 5 by elizaew from Perfect level of challenge and fun! Based on the somewhat negative reviews, I had low expectations. But I am a diehard time management fan, and expert player, so I got it with a free code to give it a try. This turned out to be excellent play quality with some good challenges in the higher levels. I had a lot of fun with this one! The graphics are too small and the music and sounds are annoying but the PLAY got better and better as the game progressed. This turned out to be an excellent game. Rated 4 out of 5 by twtscat48 from Vikings are coming!! I did purchase this game as I do like TM games. I like the fact that with this game you don't feel like you have to rush. I don't worry about collecting 3 stars it keeps the game relaxing. I do enjoy the game and would recommend it. Rated 4 out of 5 by Karavan from Looks easy but takes thought This game appeared to be easy when I started but you really have to plan what you are doing to get three stars. I had to play more than once to get the ideas to proceed as levels progressed. Although this kept me going I did find it boring to wait for money sometimes. I also felt that the game was a little old style so not as much fun as I would like. Still not that many TM games so I will probably buy this with my game credits. It is not one I feel compelled to grab immediately.